Last week, Bloomberg.com posted an excellent article on rising obesity rates across the globe and the possible contributing factors to it. Being overweight or obese increases the risk factors for just about every disease. If you're struggling to lose weight or maintain a healthy weight, your local naturopathic physician has a plan for you! In 2011, Dr. Mercola posted an excellent article what flavor enhancers are, how the affect the body, and why you should be concerned about them. I'm re-posting this here in case you haven't seen it yet. On January 7th, Bloomberg.com posted an excellent article on the dangers of high salt intake and the fight to get limits placed on the salt content of foods. Worth the read! Many whom suffer from chronic pain find little help from conventional medicine. Pain relieving medications often leave people feeling groggy and unable to function. Non-steroidal, anti-inflammatory medicines can be harmful to the stomach or liver over time. Cortisone shots may offer temporary relief, but don't usually fix the problem and the side effects can be very detrimental. Chiropractic care and physical therapy help many, but what hope is available for those that they do not help? At Arizona Wellness group, Dr. Orlowski offers a unique alternative approaches to treating chronic pain syndromes that has helped many. Dr. Orlowski is a licensed Naturopathic Physician with a Masters degree in Acupuncture and additional training in a vast array of healing modalities. She addresses chronic pain from a holistic perspective, identifying each patient's individual situation and individual needs. A light touch form of Osteopathic Manipulation called Neuro-Fascial Release works on the idea in Osteopathic medicine that "if the body can move freely, it can function perfectly". Fascia, the tissue that surrounds and connects the organs, bones and muscles of the body can be pulled, tangled or strained. By releasing these patterns of strain the body can return to its perfect, pain free state. It is common to see people with conditions of years worth of discomfort be pain free after only a few treatments. 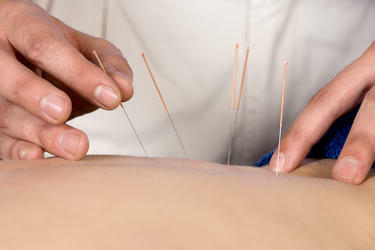 Acupuncture is an ancient technique with at least 5000 years of documented use. It works on the premise that Qi, or energy, runs through channels through the body-when this energy flow is blocked, people experience pain. These channels can be unblocked by the insertion of small, sterile needles into specific points on the body to release the blockage. Many feel relief from their pain instantaneously, while others do best with a series of treatments. Generally, patients experience feeling more relaxed and enjoy an overall feeling of well being while being treated with Acupuncture. There are a number of Injection Therapies that can be utilized in the treatment of chronic pain. Trigger point injection therapy utilizes injections into tight, spasmed spots in the muscle in order to release them. Scar injection therapy is considered normal post surgical procedure in some countries. By superficially injecting scar tissue with procaine, the adhesions break up allowing for freedom from the pain and restriction caused by scar tissue. An added bonus is that this therapy helps the scars to fade away over time. 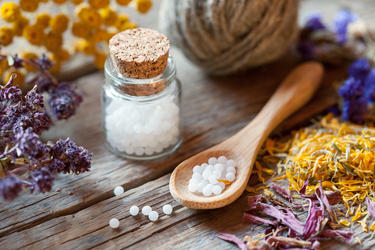 Physiological Medicine utilizes sterile homeopathic solutions made with compounds naturally found in the body that speed healing, and reduce pain and inflammation. These can be injected into Acupuncture points, Trigger points, scars, local areas of pain or administered intravenously to effect the whole body. Dr. Orlowski combines these modalities with the general principals of Naturopathic Medicine to treat chronic pain with great success. Treatments can be tailored to the patient's individual condition and needs. Combinations of two or more techniques are often used simultaneously with synergistic results greatly speeding the healing time. According to a recent article in the Journal of the American Medical Association (JAMA), more Americans are now classified as obese and overweight than ever before. The National Health and Nutrition Examination Survey (NHANES) analyzed data collected between 2007 and 2012 and found that approximately 40% of men and 30% of women were classified as overweight and 35% of men and 37% of women were classified as obese. You can view the article from JAMA here. Being overweight and/or obese predisposes patients to a range of chronic health conditions including high blood pressure, heart disease, type 2 diabetes, osteoporosis, and certain types of cancers. Maintaining a healthy weight through proper diet and regular exercise is the basis for achieving a healthy body and cannot be substituted for any type of pharmaceutical drug, natural substance, or therapy. If you're struggling with your weight, now is the time to call the Arizona Wellness Foundation. We can put you on the path to completing your health goals and preventing chronic disease from affecting you and your loved ones. Call us at 602-559-4064 to schedule your appointment today. Disease is an ancient Greek word - 'dis' and 'ease'. It referred to the disharmony between the spiritual body and the physical body. When the person was ill, it meant there was an unease between the bodies. The Chinese traditional medicine also treat the spiritual body as the source of the illness; the physical body's symptoms are merely the manifestation of that disharmony. It's not difficult to stop and think about the people you know who have cancer or have had it. Virtually any trip around town will encounter a vehicle with the breast cancer awareness sticker on it. Cancer rates are exploding. In the abstract, the whole chemotherapy process seems barbaric. The body is poisoned with the hope that the poison kills the cancer cells before it kills the patient. India is experiencing massive increases in cancer of the reproductive systems which is now being linked to contaminated water. A recent survey sampled food from various salad bars in New York City--every sample revealed contaminated food, most often from the source, or where it was grown. A new study links autism and pesticide exposure to pregnant women. Roundup works with roundup resistant seeds which are seeds that have been genetically altered to survive roundup. So the field is sprayed, and the weeds don't survive, but the food seed which are altered to handle roundup live on. Basically, the food is chemically enhanced, and we unknowingly eat it. In WWII, every American soldier received a pack of cigarettes in his C-rations. It was believed to help them stay calm. In the 1950's, doctors often prescribed smoking as a means of keeping women calm. Googling old ads will reveal doctors promoting various brands. It wasn't until much later that the addictiveness of cigarettes became well known. Cell phones began widespread use in the 90's. The effect of those microwaves is yet to be determined, although research has linked it to irregular patterns in birds and animals. The human machine was not engineered to handle the stresses of this chaotic modern life. Toxicity is all around us. We eat it, we drink it, and we breathe it. Understandably, there will be an effect. It's basic physics - every action has an equal and opposite reaction. Stress weakens the body's natural defenses. Toxicity attacks the body's natural defenses. The two combined is the epicenter of disease. The object is to keep your spirit strong and vibrant; eat well, drink good clean water, and be very aware of the effects of stress in your life; then develop the most effective ways of eliminating those stresses. Historically, the body's responses to stress gave us the adrenaline push we needed to run from a dangerous situation or fight if needed. This would result in a short burst of energy to resolve the situation after which humans would go back to relaxed state of being. The demands of modern society have created a situation in which the vast majority of Americans suffer from chronic stress, taxing our adrenal glands for weeks or years. Chronic stress has been linked to most chronic disease states, such as cardiovascular disease, hypertension, depression, anxiety, insomnia, sexual dysfunction, menstrual irregularities, fatigue, poor concentration, memory issues, digestive issues, weight gain, diabetes, and more. There are many natural means to minimize the negative effects of chronic stress. We are living in extraordinary times. Everything is changing, rapidly. In the financial world for 60 years of the last century, the market forces were predictable. One could apply formulas and figure out the value of a stock or bond. Since the crash of 2008, the word most used to describe the financial world today is "the new norm" or new normal, which means no one knows what will happen next. The medical world is in great turmoil and is experiencing the collision of two forces. The first is the advent of EMR or EHR (Electronic Medical Records or Electronic Health Records). If you've visited a conventional doctor lately, you've seen him struggling with a laptop or tablet to create an electronic set of notes documenting your visit. The bigger picture is quite troubling. IBM created a new computer called Watson which is AI (Artificial Intelligence) meaning to a degree it can learn and program itself. Forty six percent of the federal budget is consumed by Social Security, Medicare, and Medicaid, and associated programs. Healthcare costs are exploding with no means of containing costs on the horizon. As you read this, Sloan-Kettering Oncology Center in New York City and some Blue Cross/Blue Shield offices are linked to Watson. The physician makes his diagnosis, then the patient's electronic medical records are emailed to Watson and the big computer determines the probability the physician's diagnosis is correct. One can use a little imagination and see where this is headed. A faceless computer deciding a patient's healthcare needs while very deliberately eliminating costs by declining treatments. The second force is the Affordable Care Act or Obamacare. Aside from the marketplace, realities never before has the patient been intimately aware of the costs of a procedure or spent the time actually figuring out what their plan covers. It used to be a physician might decide a patient needed a particular surgery, and the patient just said, "Oh, okay." Now, there is an active dialogue about what it will cost and if it is covered. When anyone is involved in the cost analysis, it promotes a good outcome because an awareness of the cost and an analysis of the value of the service are fundamental to any decision. A recent survey determined that 65% of adults over the age of 50 would prefer to see a naturopathic physician as opposed to a conventional doctor. These adults came to the understanding that pharmaceuticals have side effects and conventional physicians get too busy to actually listen to their patients, which impedes the healing process. Younger adults are more likely to hold the same perspective, because they were raised with an awareness of the environment and the importance of lifestyle choices impacting well-being. We believe the trend will be towards healthier living, better understanding of the forces in an individual's life that affects their health, and the realization that the patient must fully participate in the healing process.